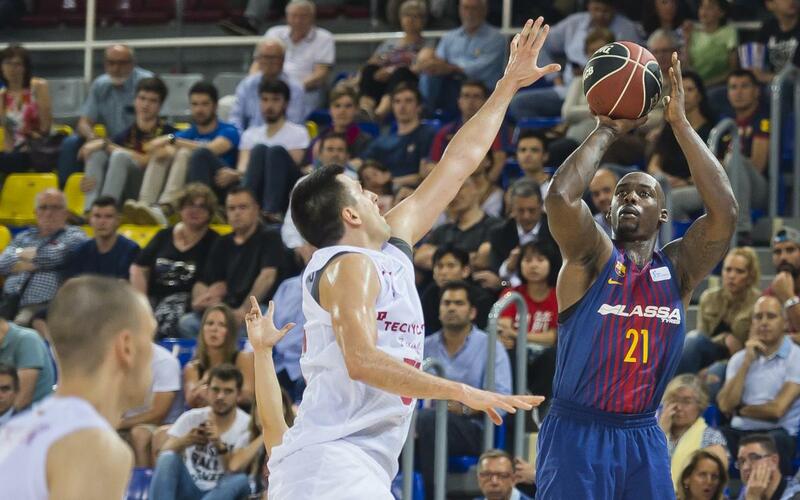 Barça Lassa beat Tecnyconta Zaragoza at the Palau by 100-83 in the last match of the regular ACB League season. The game, in which Moerman and Ennis were the top scorers, saw the return of Rakim Sanders. Now, Barça will face MoraBanc Andorra in the quarterfinals of the competition. Pesic’s men started very tight defensively and sharp in attack. Koponen and Tomic were on the scoreboard early as the hosts eased into the lead 18-11 (min 6). Barça Lassa continued to punish the visitor’s defence, and Ribas closed the first period with a clear 31-20 in favour of the Blaugrana. The second period started with the score rising to 33-20, the biggest difference during the first half. However, as of that moment, Zaragoza finally got their act together and cut the deficit significantly (36-34, min. 13), forcing Pesic to stop the game. Three pointers from Jackson and Sanders allowed Barça some breathing space and, with the return of Tomic to the court, the lead was increased again (49-40, min. 19). At the start of the second half, both teams reduced their scoring pace, however, Barça Lassa always enjoyed at least a 10-point margin over their rivals. With Moerman - 18 points - very active in attack, the hosts surged further ahead 73-59 (min. 29). In the last period, Barça pressed the accelerator again and were 21 points ahead by the 33rd minute (86-65). Pep Cargol's team were unable to stop the Blaugrana offensive, and by the end of proceedings, Barça had hit three figures (100-83). Thoughts now turn to the duel against the Andorran team.